February | 2016 | Discovered ... Right Here! As promised, here are the tips I gleaned while talking with the staff at the Lincoln City Visitor Center! 1) Float Fairies belong to a secret group. They swear to secrecy and won’t even tell their friends. After 15 plus-years of successfully keeping the membership roster mum – don’t bother trying to figure out who the Fairies are! 2) Floats are all sizes. Some are fist size. Others are softball size, while still others are small enough to fit in a child’s palm. 3) The Fairies put the floats where they will be found easily. They say they are often found in nests of grass or seaweed or cradled in driftwood. One person found a float nestled in with several bulbs of seaweed – the kind of long seaweed resembling a whip. 4) They also don’t place them in the cliffs where you would have to climb to reach them or venture on private property. 5) It is suggested that looking like a “tourist” helps, especially if a Fairy is casing the area to place a float in your path. 6) Relax as you search. Some people have had floats just roll across their paths. 7) Fairies don’t put floats out at night, during storms or high tides. 8) The floats are put out at all other hours of the day. 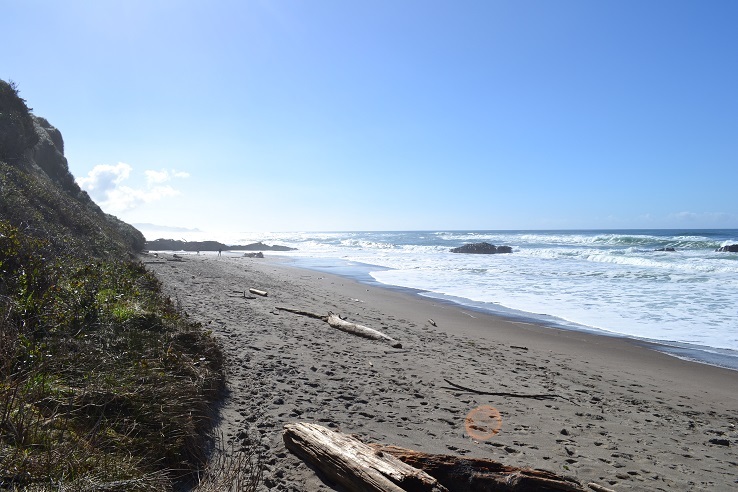 9) The Visitor Center staff says that of the reported findings, most are found at Taft Beach and Road’s End Beach. Not as many are found in the miles of beach in between. I highly recommend stopping in and looking around the Visitor Center. Do the Coast some good and collect that bag of trash. Then dispose of it properly and stop in at the Visitor Center. Besides free Tide Tables and hotel information, the art displays and memorabilia are worth a perusal. Besides the staff there are some of the nicest I’ve met, and I’ve stopped at many visitor information centers. 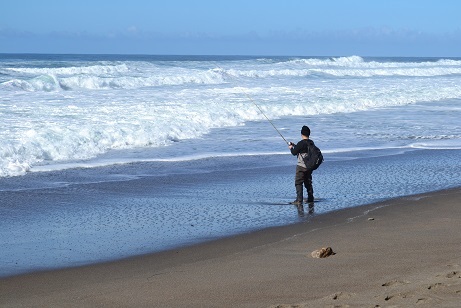 Have I said how much I enjoy the Oregon Coast in the winter? I really do. I especially enjoy these late winter, early spring-like days. When the sun shines, warming you and the sand despite the cool ocean breeze with its fine salty mists, the day shines. It really does. This last Monday, my day off, found my mom and me making the 2-hour jaunt to Lincoln City for a mini-vacation. Of course while there we searched for the elusive glass floats. We also picked up a bag of beach trash, and this time I got to the Cultural and Visitor’s Center in time to enter for the monthly drawing in exchange for it. While filling out the entry, I also gleaned some tips* for finding a float. 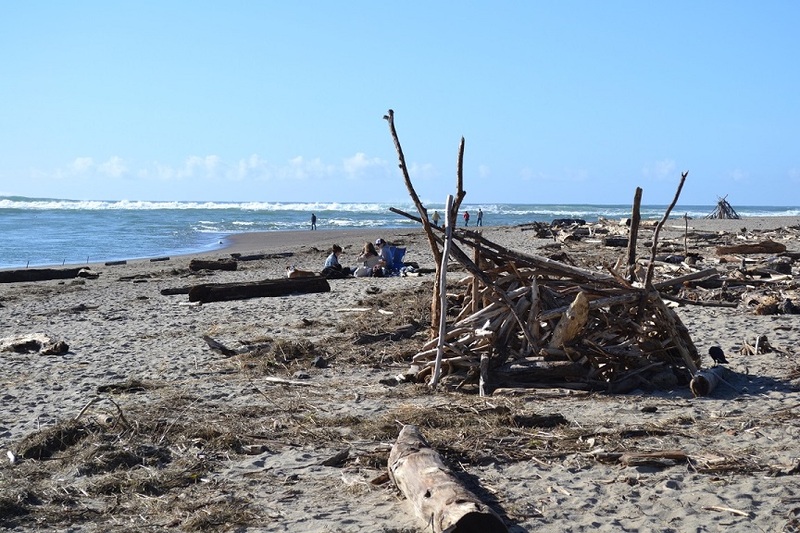 Walking the beach, racing foaming waves, soaking up sun, snapping photos, colleting beach trash and treasures, admiring driftwood shacks, laughing at wet stick chasing dogs… there is always something to do at the beach. 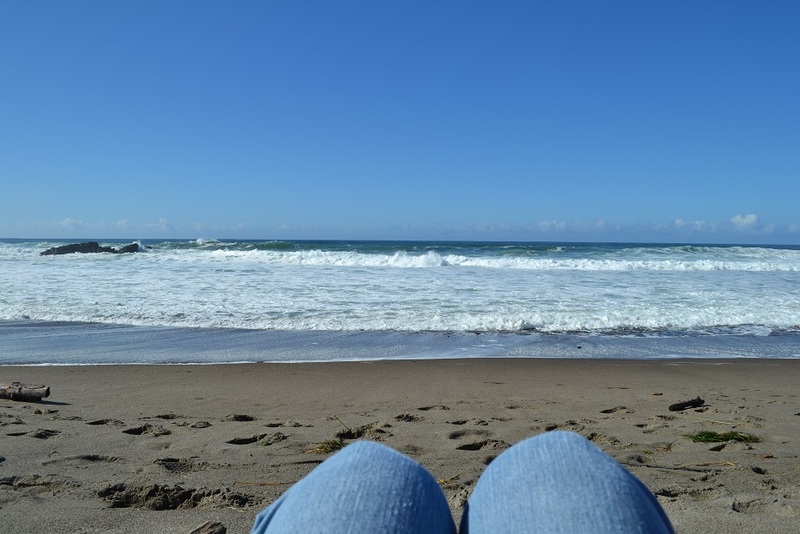 Sometimes I almost forget you can actually sit and rest at the beach. Even so, I eventually did pause to simply take it in. While relaxing in the warm sand, the driftwood cool against my back, I settled down to simply enjoy the day. Listening to the ocean started with merely hearing the background roar. The bright blues and teals of the ocean, the sparkling sand, the bright shine of the sun and the bright blue sky with a few puffy glowing white clouds and swooping sea gulls seemed to be right there. Then I began hearing it. I began hearing the oscillating pattern. With each approaching wave the roar would become imminently louder before resolving with a slap and then a fizz as it slid up the sand, and then some more fizz as it pulled back. But as one wave’s roar resolved, the next one behind it was already rumbling, gradually louder and louder, before it too resolved with a shattery slap and then a fizz. The rhythmically soothing pattern was in a way new. How can I not remember listening like this or hearing such a melody before? With five senses, it amazes me how sometimes one of the sense overshadows the others, and at other times, one sense picks up something I am not even aware of until I stop and consciously consider it. As my stomach grumbled, my mind drifted to the peanut butter and honey sandwich sitting in my car along with the apple, travel mug of mint tea and homemade molasses cookie. With visions of lunch in my head, the rhythmic ocean faded again to the background. 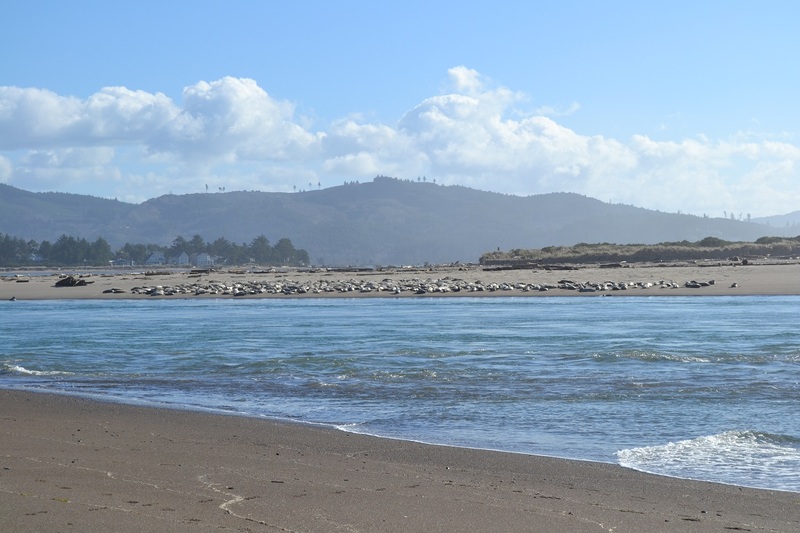 Grabbing the lunch sack, we ate on the beach while watching the harbor seals across the water. Someone had a fire going and wafts of smoke would mingle with the salty beach air. After enjoying the beach a little longer, we headed home singing a song. Give me two bottles of kombucha, I want one for each hand. Let’s set sail with Captain Mom – though we’ll never leave dry land. My troubles I’ve forgot them; I buried them in the sand. * I’ll post those tips in tomorrow’s entry! So that despite my lack of luck so far, you perhaps might better your odds!